The Latin American Regional Centre is located in Buenos Aires, Argentina. 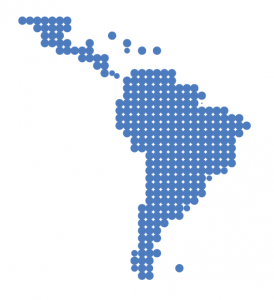 DRPI’s regional partners are the National Network for the Rights of Persons with Disabilities (Red por los derechos de las personas con discapacidad – REDI) of Argentina and Fundación Rumbos, which is a partner of REDI/ The office is located in the premises of Fundación Rumbos. All three partners are disabled persons organizations (DPOs). Red por los derechos de las personas con discapacidad (National Network for the Rights of Persons with Disabilities – REDI) is a DPO which advocates for the rights of persons with disabilities under the social model of disability. REDI is a cross-disability DPO with a strong gender focus in its policies and strategies. REDI has been involved in the human rights movement since its creation in 1996. Within this time, REDI has become one of the most recognized DPOs in the country within the human rights movement. Nothing about us without us has always been the policy of REDI and the main action of this DPO is to provide a voice to those who are not heard. Learn more about REDI. Fundación Rumbos began providing guidance and support to families in 1992. Rumbos established an Accessibility focus a year later in order to train architects and designers in universal design and to lend advice to government agencies and NGOs. The mission of Fundación Rumbos is to advance accessibility for all by improving the conditions of the physical and social environment, so that people with disabilities can fully exercise their civil and human rights. Within the last decade Fundación Rumbos has undertaken important programs which address specific accessibility issues. These programs focus on accessible municipalities, inclusive design of urban spaces and buildings and accessibility for apartment buildings and homes. Learn more about Fundación Rumbos. José Viera was born in Argentina; he grew in Cordoba, which is the second biggest city in the country. Blind since he was 8 years old, José says that My disability has never stopped me in developing all of my activities, it has only made me achieve my goals from a different view with the permanent support of my family and closest friends . José graduated from Universidad Siglo 21 University with a Bachelor degree in International Studies, focused on Latin America. Upon completing his undergraduate studies, he moved to Italy where he completed a Masters Degree in Management of Development. Currently, José holds a post as a professor at a local Argentinean university in the Department of International Studies. He has recently completed a research project related to Strategies for Local Development. He is now writing his PhD thesis on development. 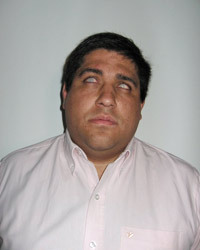 Since last March José has been President of the Blind Federation of Argentina. He believes that for a more inclusive society we all need to work together to achieve a common goal which is to share a place where we respect each other and where our dreams and personal goals and beliefs can lead us to a better world. José began working for DRPI as Regional Officer in September 2011.